Getting around a growing city like Austin isn’t always easy. During South by Southwest when thousands of extra people come to town it can be downright impossible, especially if you don’t know your way around. If you’ll be here this year for the big event you’ll want to take a look at this transport cheat sheet. 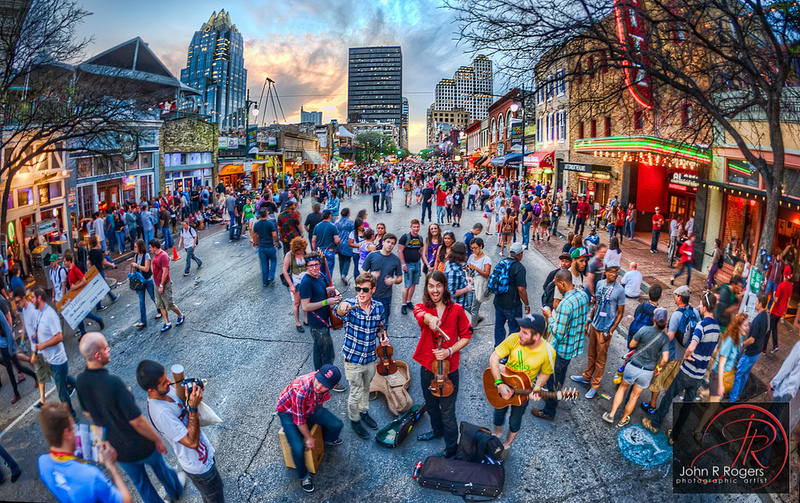 SXSW is primarily centered around downtown Austin, in particular the convention center where badges are picked up, the tradeshow is held and other activities take place. However, the convention center isn’t big enough to house everything that is SXSW. Most other SXSW locations are within walking distance of the convention center or nearby: the Paramount, the Alamo Drafthouse downtown and the Red River District to name a few. One thing to keep in mind when heading downtown is parking, which is scarce even on a normal day. Metered parking is pretty limited, and once people grab a spot they’ll be there a while. There are several parking lots nearby, including the convention center lot, but you’ll have to get there early if you want a spot. During SXSW, and the influx of visitors that comes with it, there are sure to be road closures downtown, which won’t make it easier to get around. Below are the areas where you can expect to find roads blocked off. A local hired transportation service should be aware of any road closures during SXSW. If not make sure they know about the possible closures listed above. Austin has a fairly good transportation system that runs to multiple points downtown, however even public transport won’t be able to get around all the closed roads and traffic of SXSW. In fact, cabs and hired transportation will be able to get around to the convention’s valet areas whereas buses may not. If you aren’t taking a cab or chauffeur service, another option can be the MetroRail, which has a drop off right in front of the convention center. There are also the SXSW Film and Interactive shuttles, which bring festival goers from hotels downtown to the convention center and other conference locations. The easiest way to get around during SXSW is probably going to be by cab or a chauffeur service in Austin. You can schedule a time for pick up, get dropped off right where you need to be and avoid the hassle and expense of trying to find a parking spot. Just keep in mind both will be very busy during SXSW so call way in advance.